Posted on December 4, 2011 by Matthew Oliver. 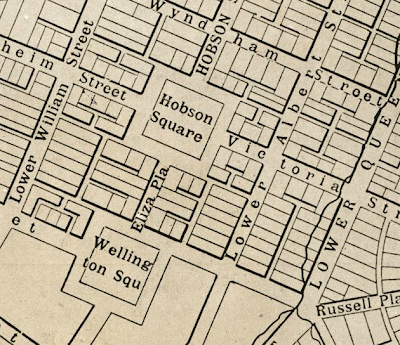 This entry was posted in talking and tagged collaboration, MCH, NDF, NZHistory, Te Ara. Bookmark the permalink. In theory Digital NZ should be able to connect these dots. It shouldn't be too hard to add a DNZ widget to something like Timeframes image pages so that the subject keywords are also finding content on Te Ara, NZHistory and other sites. Te Papa collections do this, though the results tend to be items in other collections. An easy way around this would be to have different versions of the DNZ widget (or tabs for different filters) where you get related collection items on one and related reference/context items on the other. 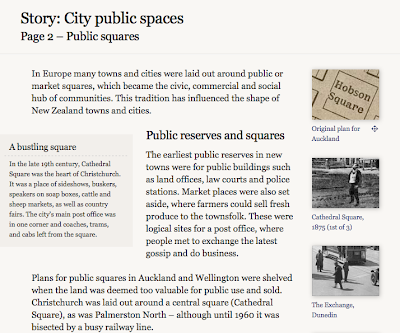 Similarly both Te Ara and NZHistory could add a related collection items widget on all our image/audio/video pages. I realise this doesn't address the copyright issue, though it would also be possible to provide a DNZ filter for just CC content.